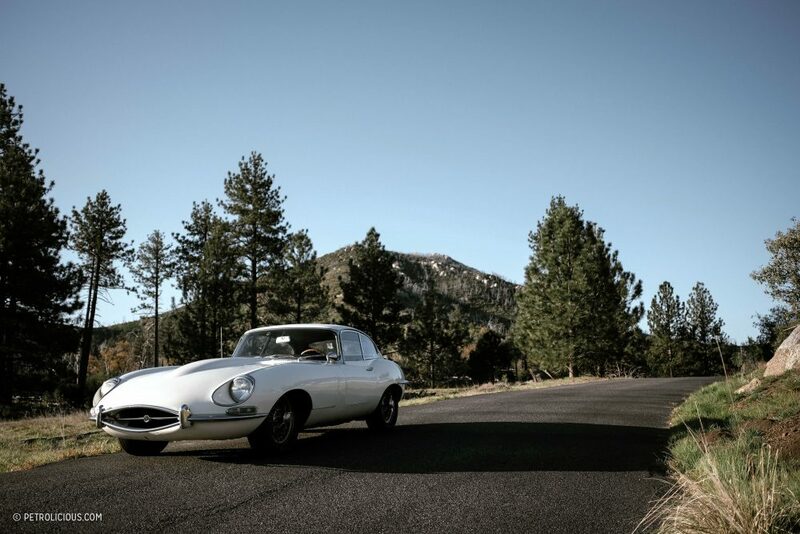 This beautiful 1966 Jaguar XKE has been in the same family for 50 years. 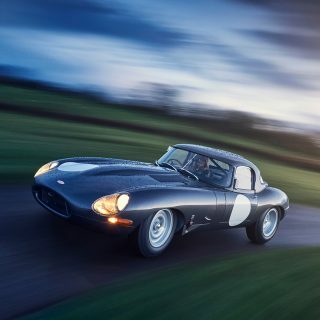 Cherishing any car for a half-century is impressive, but maintaining and continuously driving what is arguably Britain’s greatest automotive achievement at such length is truly awe-inspiring. It’s been a labor of love with its fair share of ups and downs, but one well worth the hardships and busted knuckles. Now on it’s third generation of history-rich Horsfield wheelmen, I sat down with its latest caretaker, Geoff, to find out what it’s taken to keep the polished wire wheels rolling forward. 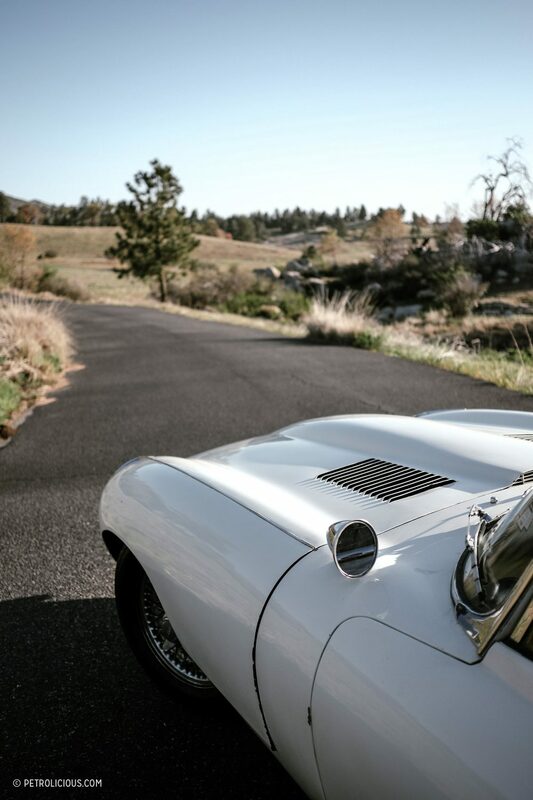 Andrew Golseth: Geoff, is your grandfather’s E-Type to blame for your automotive obsession? Geoff Horsfield: I’m not sure what exactly started all this, but it’s between one of two things. 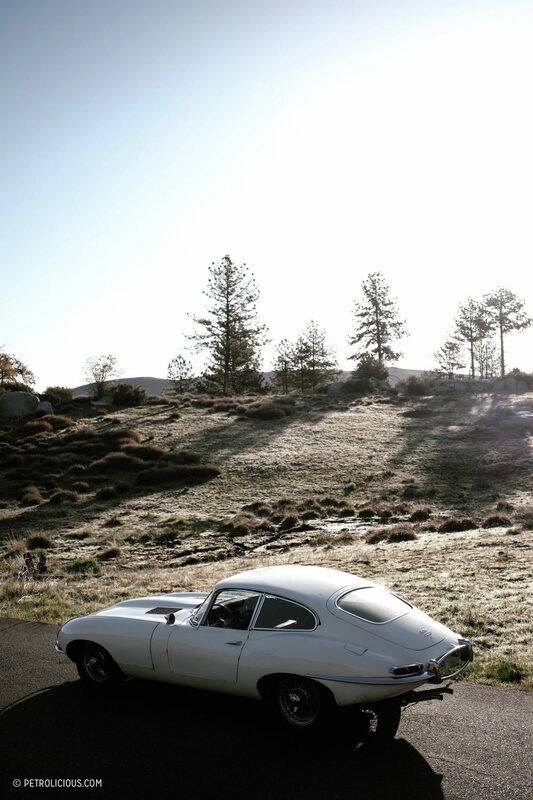 I was born in Costa Rica and before moving to California we’d come here to visit my grandfather, who’s always had this E-Type. I used to sneak off into the garage, sit in the car, and pretend I was driving it. But we also have pictures of me in diapers, walking around my dad’s burgundy 633CSi, looking inside and underneath the car, just with it idling, trying to sit in it and drive it. 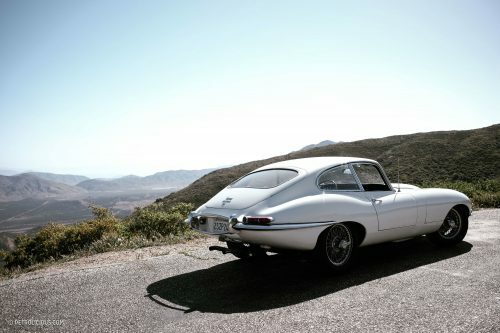 It’s a toss up between the E-Type and my dad’s BMW, but either way I was drawn to cars at a very early age. AG: Tell me how the Jaguar joined the family originally. GH: It goes way back. There was this kid in Long Beach who apparently made a deal with his parents. 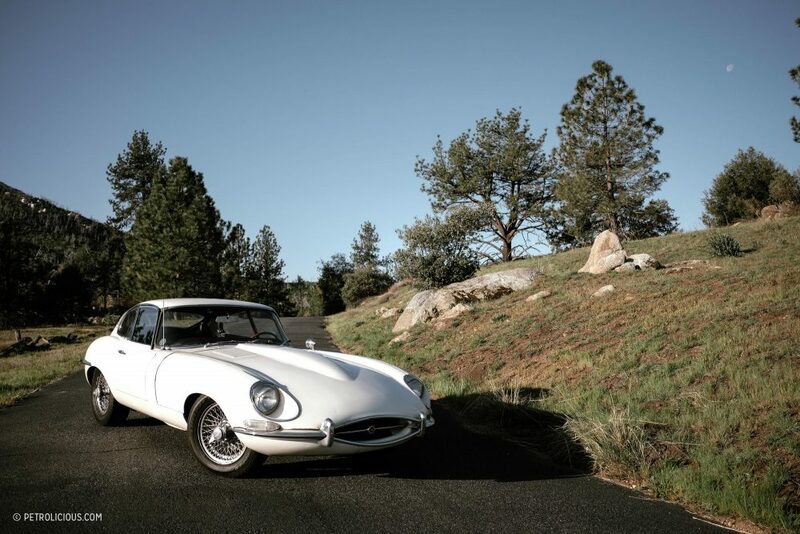 He convinced them to buy him this XKE, which at the time was still Opalescent Dark Green. I’m not 100% sure what happened, but I believe he blew the engine. Anyway, my grandmother found the car and bought it for my grandfather in 1967. My grandfather took it apart and rebuilt it. 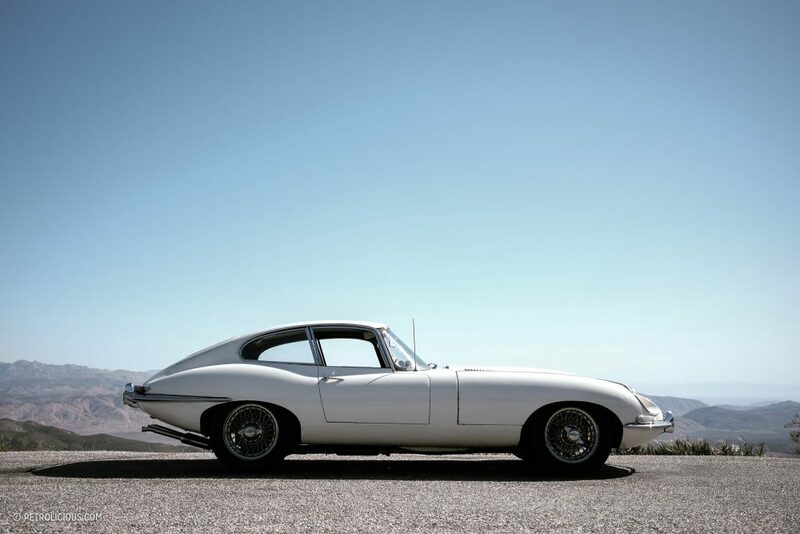 My grandfather always had English motorcycles and English cars, and an E-Type was something he’d always wanted. It’s a family jewel. My dad drove it in high school and, when I entered the picture, my grandpa used to take me down to the golf course in the car and cruise it around town. Unfortunately, my grandfather became very sick and the car ended up sitting for a while. It had kind of decayed a bit during that time, so when my dad brought it to our house in the early 2000s, it became a sort of father-and-son project to get it running again. AG: How did that work out? GH: After doing some work on it, we took the car to a mechanic a few people had recommended, who turned out to be a bit of a hack. He got the car running, but it wasn’t right. 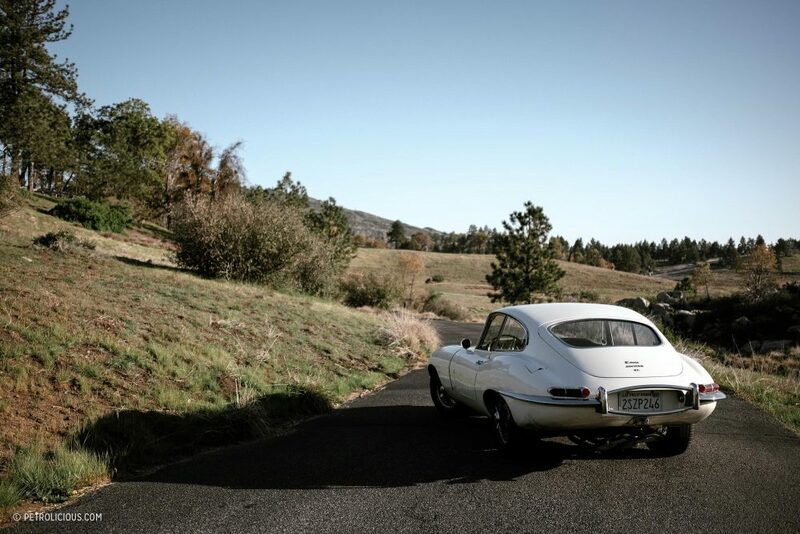 So it continued to be that stereotypical English car where we could take it out on a drive but you never knew when or where you were going to be stranded. Once I was in high school, my dad and I took a huge interest in it again. Around that time, my grandfather had shoulder surgery so he could no longer drive. We kept it around, drove it regularly, and my dad would take me to and from soccer practice and drop me off at school in it. 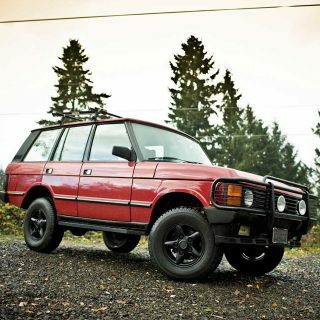 It was mostly a weekend warrior, and back then we never wanted to take it far because we didn’t trust its reliability. 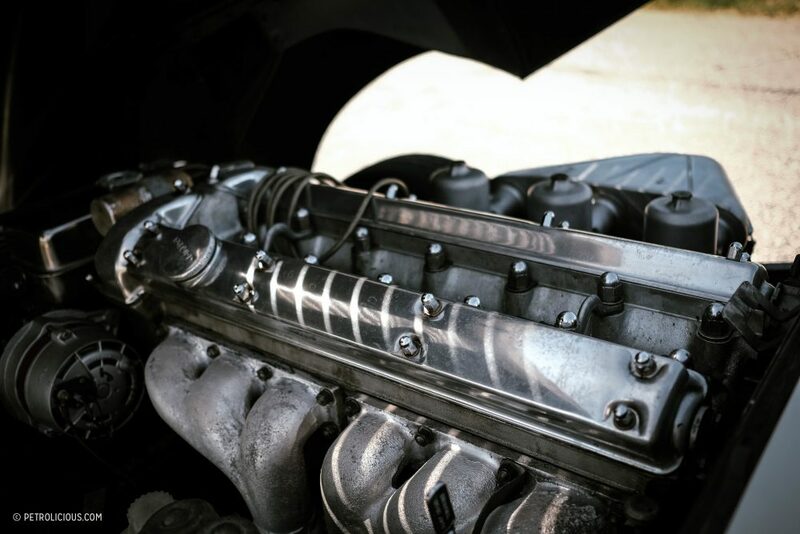 I started driving the car during my senior year, around the time we noticed the valve seats had corroded along with some corrosion build up in the intake manifold. I could get to school, I could get back home, but if I drove it any further than that, it’d start blowing smoke at stop signs and stoplights. It drove well for about 15 to 20 minutes, but once it was at operating temp it was awful. We were all talking about restoring it, bringing it back to pristine original condition, but we really just wanted to get it mechanically sorted, which is what we ended up doing. AG: Did you take on the work yourself? GH: Yeah. This is the car I learned to wrench on. I had done little things here and there with my dad, just general maintenance stuff, but this was the first car I ever actually got my hands greasy on. I sliced my hand open on a head stud one time, so when I say I’ve put blood, sweat, and tears into this car it’s very literal. It’s come with a lot of frustration but an immeasurable amount of joy and satisfaction in return. 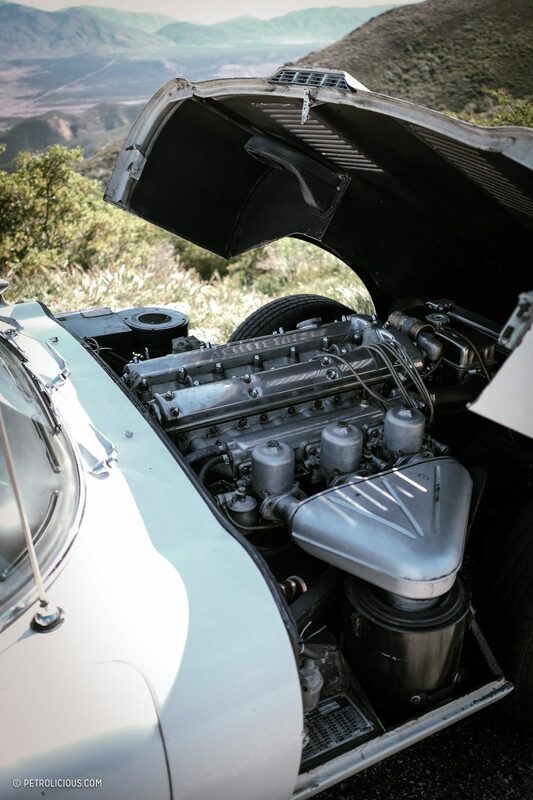 By the time the car really needed to be sorted, I was pretty mechanically inclined and obviously loved the car, so I asked my grandfather and dad if I could be the one to take it apart. It was the end of my senior year in high school when I started. I took the head off and took the cooling system apart but we, perhaps foolishly, assumed the bottom end was solid. We had the head rebuilt and I reinstalled it. I actually managed to get it started on the first push of the button, which was pretty cool—I didn’t even use the choke, it’s like my crowning achievement in life [Laughs]. But after all that, it still wasn’t running right, so we took it to this shop we had formed a relationship with, some really good dudes, and they figured out there was something not right with the bottom end. We took it apart again, rebuilt the bottom end, and put it all back together with a new clutch, new bushings, and fresh seals. We got about 2,000 miles out of that engine before getting concerned about it burning a quart of oil every 500 miles. We tried different remedies with no success. Obviously, we really wanted to avoid going back into the engine, but that’s what we ended up needing to do. AG: At this point it’s very clear that this car is not one that’s going to be given up on. What was involved with opening it back up this time? GH: It turned out that the piston rings weren’t hardened correctly from the manufacturer, so they never sealed properly. We rebuilt the engine again with new rings and all new bearings, because why not? That engine lasted 2,000 miles until my dad was headed down to visit me one day and it seized a rod bearing on the side of the 15. This was engine rebuild number three. We took it all apart again and we had a few different machinists look at it this time, and it turned out that not everything was 100% on the head, and the line bore was off. It was just a nightmare. On this rebuild, we got a little bit more mileage out of it. We even took a road trip to Big Sur. Everything was running great until I took the car down to Oceanside one day. It was only a 60-mile drive but I found myself at a light blowing tons of smoke, and I couldn’t figure out exactly what it was. It was an intermittent issue. It turned out that a sleeve had shifted and dropped, so it was burning a large accumulation of coolant. AG: That was rebuild number four? GH: Yeah. I was really starting to think the car was cursed. We found another machinist this time around, got it fixed, and rebuilt it for the fifth time. The previous build was over-bored as well, with this last build we obviously had to re-sleeve the engine to return it back to factory spec. I think we’ve gone maybe 5,000 miles on this engine and everything’s been fantastic [knocks on wood steering wheel rim]. AG: Five rebuilds. That’s serious dedication. After the mechanicals were finally sorted, what was next? GH: The suspension. We rebuilt it with adjustable gas shocks all the way around. 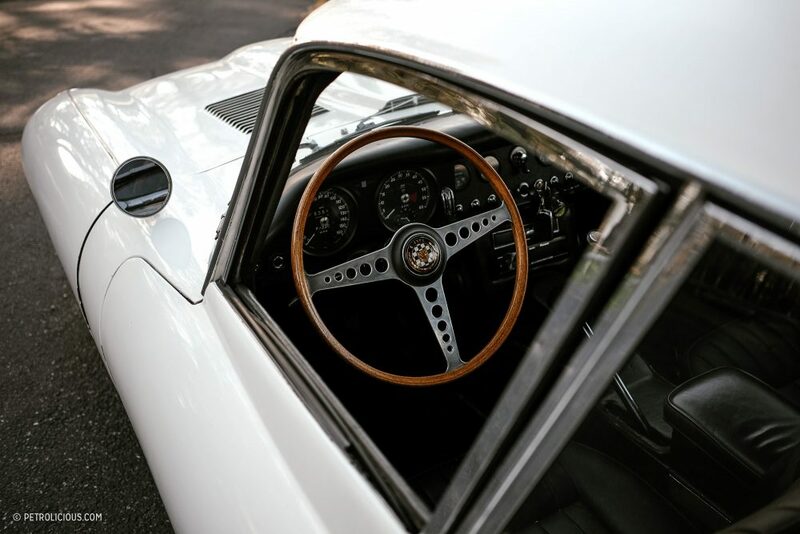 It’s firm when I want to drive it with some pace, but I can soften the dampening when my dad wants to take it out or when I want to take my girlfriend out in the car. That’s all we’ve really done aside from routine maintenance. Obviously it’s posed some irritation over the years, but it’s been a family toy we’ve all enjoyed racking our brains around. We’ve put some serious effort into it. I pride myself in that I’ve done a lot of the manual labor on the car, which has taught me so much. It’s been a joint effort between my dad, my grandpa, and myself. AG: What’s the story with the hood—you mentioned it wasn’t correct for the year? GH: Yes, it’s quite a story. There’s this hill in Long Beach my dad calls “Airplane Hill”—it’s pretty steep. 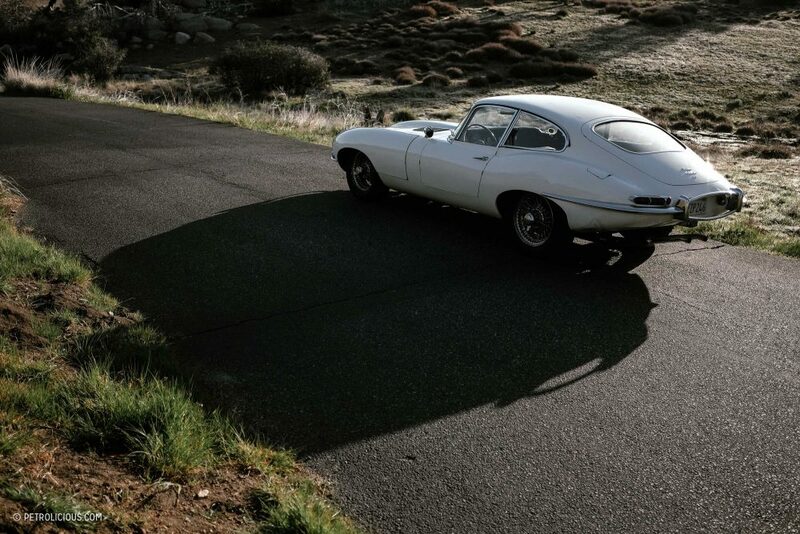 When he was 19 years old, he took the E-Type out one night and hydroplaned it going down this hill. This car, being a Series 1, originally came with the bonnet featuring integrated covered headlights. Anyway, he locked it up and took out a couple light posts, totally destroying the original hood. AG: The cops just let him go? GH: Yeah. He never heard anything about it again from the police. They probably figured he was in enough trouble with wrecking his dad’s Jag. My dad parked it in the garage and the next morning told my grandfather, and my grandfather went out and looked in the garage. My grandfather has always been a super passive guy. He just looked at the car, disappointed, and said, “Well, son, there’s nothing we can do about it now.” He turned around, closed the door, and went back to what he was doing. 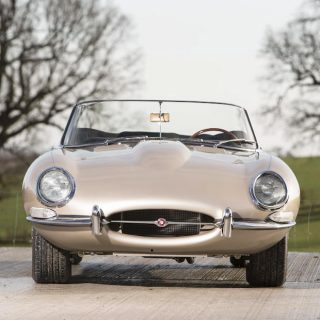 At that time, it was extremely difficult to find a correct replacement hood—the cars were still in production then but the majority of available parts were for the newer Series 2 and Series 3 cars. My dad was planning a surf trip to Peru when this happened, which he cancelled to pay for a new bonnet. He managed to find one in a salvage yard and paid, something like, $1,200 for it. AG: That was a lot of money then. GH: Yeah, this was in 1979. Him and my grandpa rebuilt the front end, put it back together, and it’s been wearing the same “wrong” bonnet ever since. It’s a little bit of a sore spot for my dad and grandfather, but for me it’s just another one of the little things that adds character to the car. I mean there’s so much real history. Some look at it and think of it as damaged goods, I know my dad certainly feels that way sometimes. But I look at it as just another piece of its past that stays between the three of us and our family’s connection with the car. 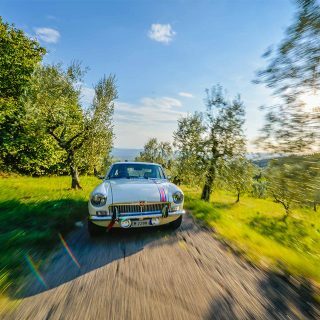 AG: Aside from your family connection, what’s your favorite thing about the car? GH: There’s nothing quite like it. Even when I was a kid I knew how special it was. The way people look and stop what they’re doing just to check it out. 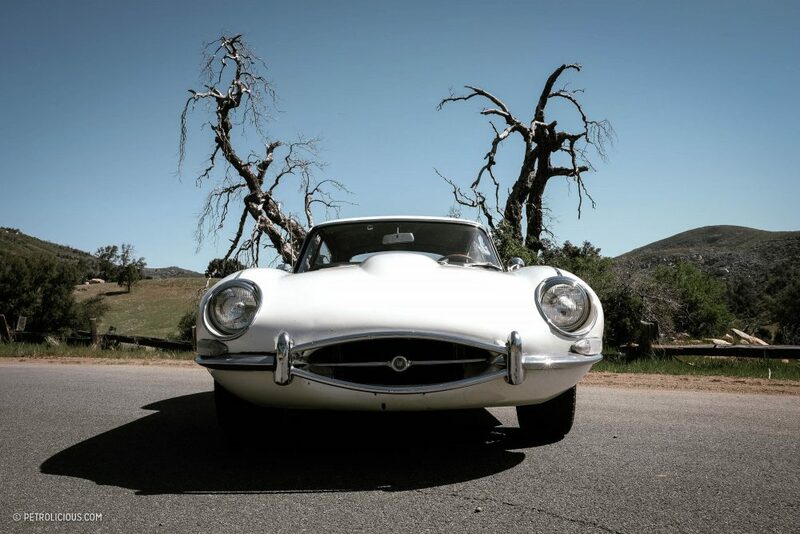 “Oh my God, there’s an E-Type,” or, “What kind of car is that?” There’s just something about it. There’s no hiding how beautiful it is. It was and always has been unique. Another thing I love about it, which may sound odd, is the scent. There’s a certain smell to the car, which I’ve always loved, and one the car still gives off today. It’s always been the same smell. It takes me back to when I was a kid. I used to love running into the garage where my grandpa would tell me, “Make sure you never come into my workshop barefooted,” which is exactly what I’d do every time. After a family dinner, everybody would watch something on TV, but I’d just run off and do my own thing—either play with my model cars or head off into the garage. 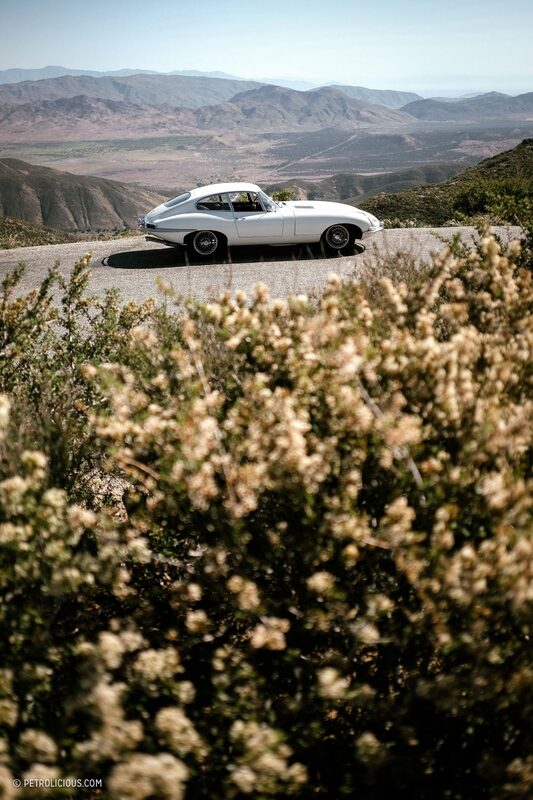 AG: Barefooted to climb around the E-Type? GH: [Laughs] Yes. The keys were always in the car. I’d just stand up on the seat, because I couldn’t reach the pedals. I’d make car noises while moving the gear shifter, turning the steering wheel as much as I could. It’s always been important to me, even when I was in high school. If I was having a rough day, nothing fixed it like sitting in the driver’s seat. I didn’t even have to take the car out. I could just sit in the seat and it’d relax me. GH: Oh, it’s just the best. It’s fantastic. The power curve is so linear it just pulls and pulls. I mean fourth gear just never gives up. AG: It sounds like you’re happy with it in its current form—so no plans on completely restoring it? GH: We kind of bounce that idea around from time to time. My grandpa painted the car white in the ‘80’s. Like I said, it was originally a shade of British Racing Green, Opalescent Dark Green to be exact. And the interior was Suede Green. 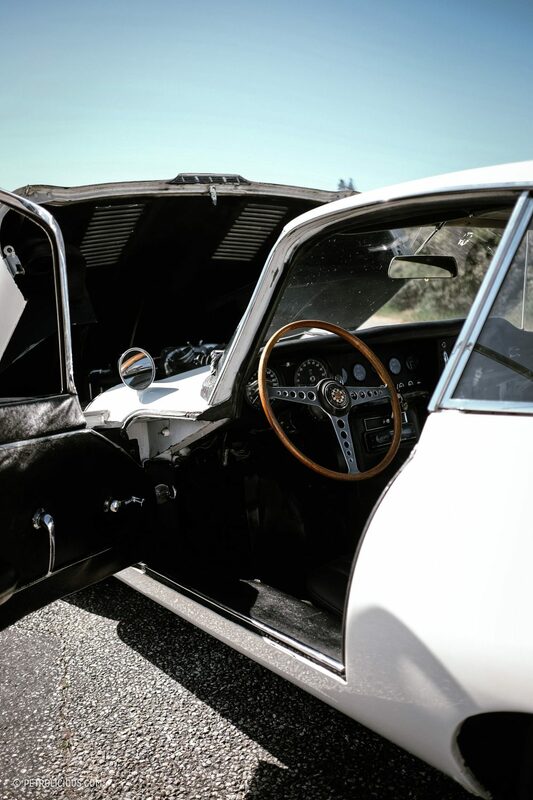 When he painted it white, he dyed most of the interior black. It still looks good, it might not be original but it turns heads. At some point, the original buckets were swapped for Series 3 seats, which have headrests. So, my dad and I found the correct Series 1 buckets and reupholstered them, which made the rough carpets stand out even more, so we replaced some of the carpeting. My dad has always wanted to go back to the original bonnet and repaint it green, which we really struggle with sometimes. 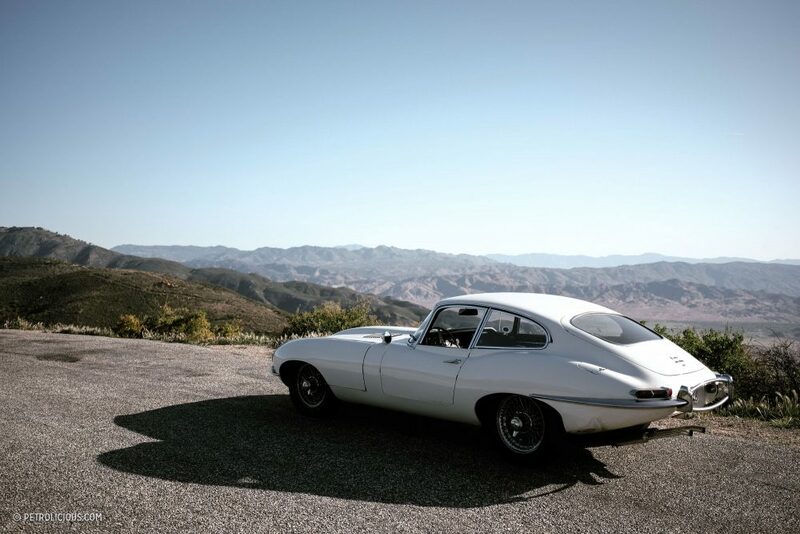 It would be great to have it back to Opalescent Dark Green with the Suede Green interior, have everything perfect, but then it would be a garage queen and we’d be too paranoid to drive it. If it were made all original and perfect, we wouldn’t take it out the grocery store anymore. We wouldn’t be driving it to work. 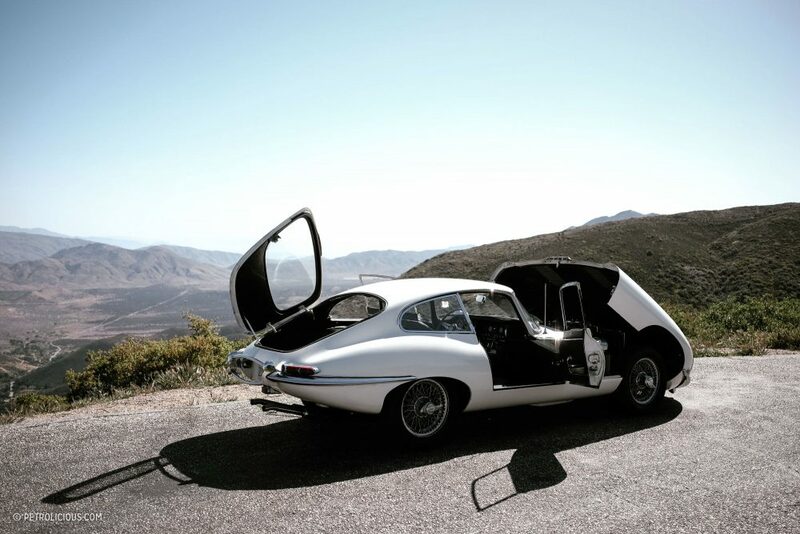 Suddenly it would shift everything from, “Let’s go out and have a killer drive,” to, “I don’t want to get a door ding. I don’t want to take the car out of the garage anymore.” What’d be the point of that? 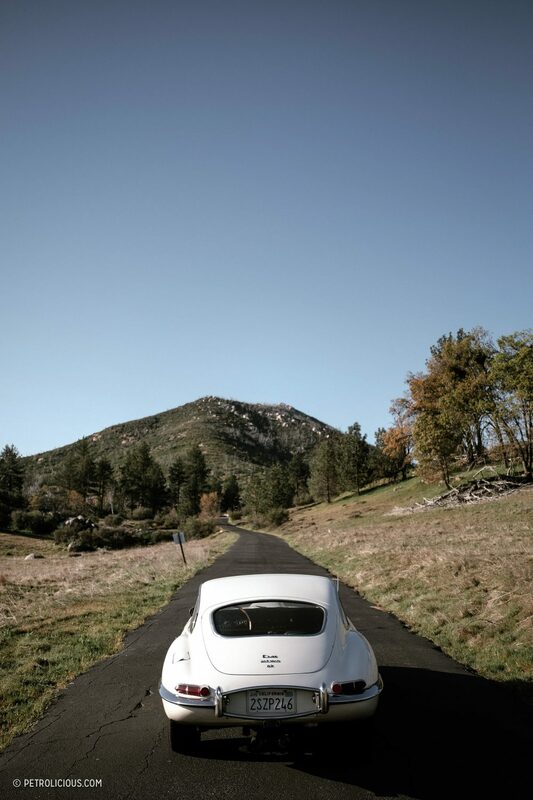 Some people collect cars and that’s what they do—store them and preserve them, and that’s fine of course, but I’ve never been that way, and neither have my dad or grandpa. We’ve always enjoyed driving the car. 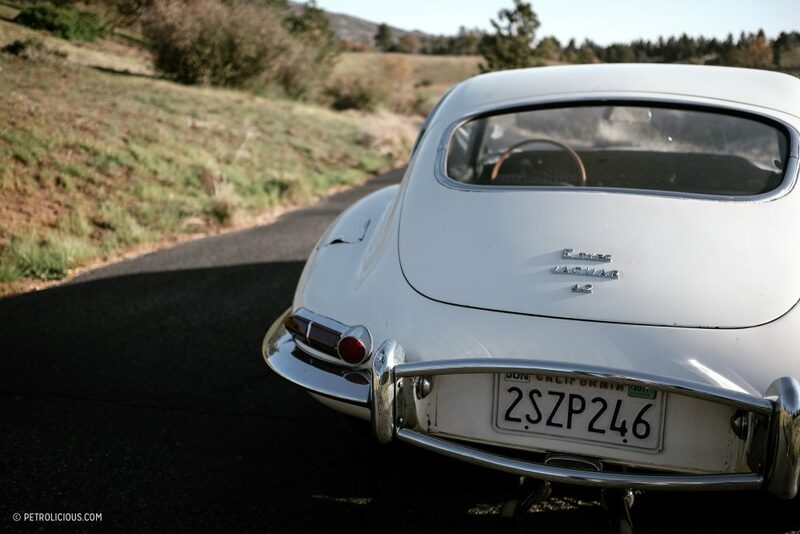 So, yeah, we talk about restoring it and go back and forth about it, but ultimately there’s something about the feel of driving this car with the patina that it has. If we restored it, it’d be like erasing history. It’d lose its character that it’s earned over time. Why do that? Sure, you can point out, “Oh, here’s a little ding,” or whatever. Like the rear bumper has two little indentations from when my dad learned to drive this thing on a hill. There’s nothing I would change about that, ever. It’s difficult to want to alter any of it just for the aesthetic appeal of others. AG: I think it’d be a shame to restore it. It just looks so wonderful the way it sits now—paint chips, dings, and all. GH: Yeah, I love it. Of course, we’ve encountered people who think otherwise. People who like to point out the imperfections in the paint, the nicks here and there, and how it’s not an original color, but that’s whatever. Those people will always have something to say. On the flip side, we’ve had a lot more people come up to us, at Cars and Coffees and other events, saying, “Don’t change a thing. Don’t touch it, keep it the way it looks, there’s so much character about this car and the image it sends out.” It’s honest. It’s a driver and it’s great to hear from people that still really appreciate that, and not just the look of the car. 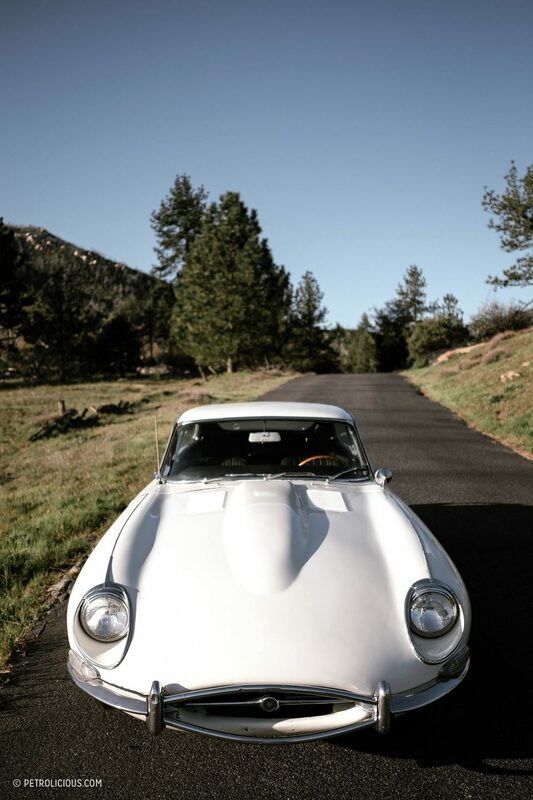 AG: Speaking of looks, what’s your favorite thing about the car visually? 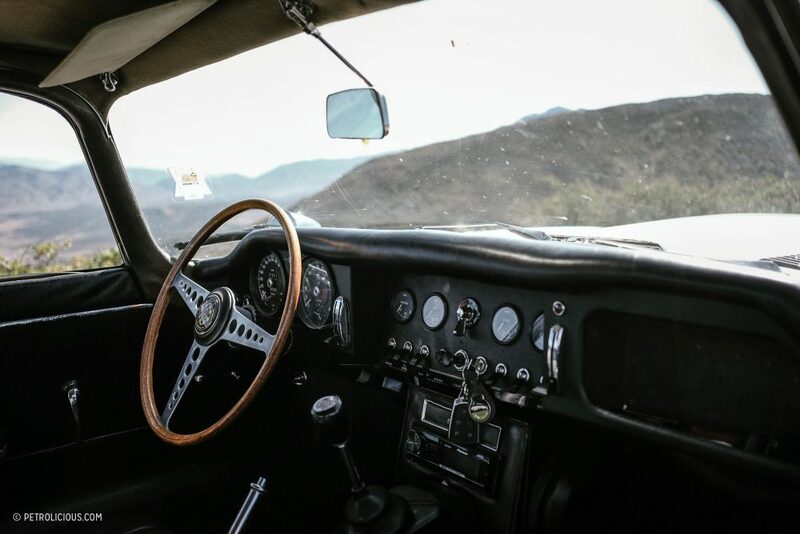 GH: There’s nothing quite like sitting in the driver’s seat and having the hood in front of you. Seeing five feet of bonnet before the road is amazing. It’s like a time machine, really. Having the steering wheel in front of me, looking down that long hood, it’s unreal. AG: What’s your favorite thing about the way it drives? GH: All of it! [Laughs] I don’t think there’s one thing I like more than anything else. 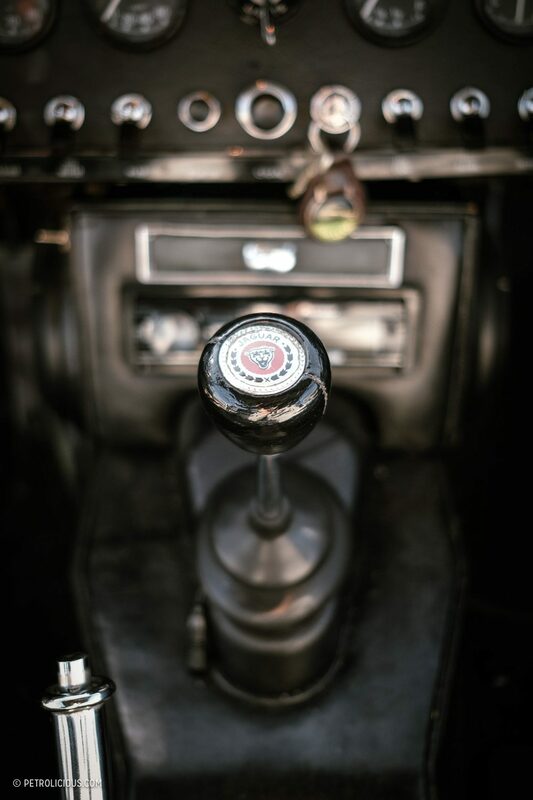 I love the four-speed, I love the 4.2, and the sound of the three SU carbs. Overall, it’s a fantastic looking car that’s equally good to drive. AG: I’m sure there are dozens of memorable moments based on what you’ve told me so far, but do you have a favorite memory with it? GH: There’s this one memory of my dad picking me up from soccer practice. I think I was 11 or 12 and my dad had just got the car running again at the time, so he was taking it out quite a bit, trying to get everything dialed in. He picks me up and we came to this stop. My dad took this turn and went wide open in first gear. I was just a kid so everything seemed so exaggerated to me, and I know it’s not some 500 horsepower monster, but I was shoved back into the seat so fast and it just sounded so good. That was something else—the first time I remember feeling a car go fast. I will always, always, always love that memory. AG: I assume it’s safe to say, under your stewardship, it’s not going anywhere? GH: This car transcends being more than just an automobile, you know? It’s a whole different entity because it’s an integral part of my relationship with my dad and my grandfather. It’s not about me, it’s about all of us. It’s still technically my grandfather’s car. 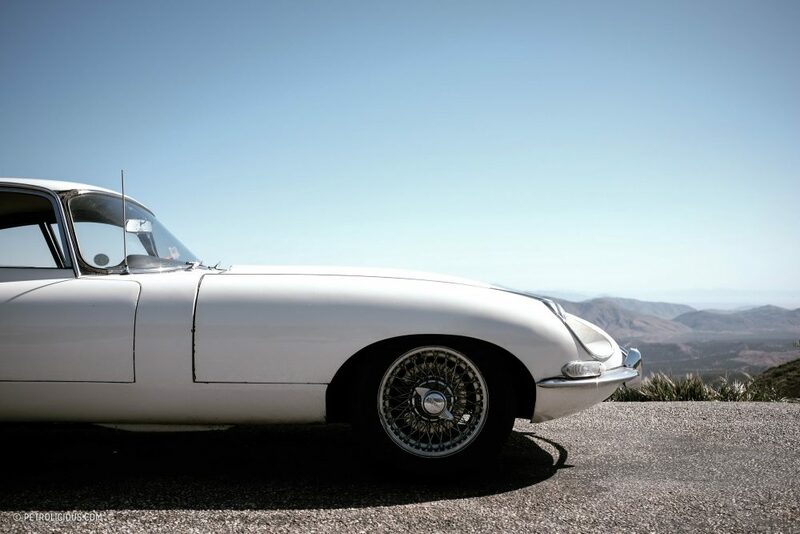 He’s got Alzheimer’s and is confined to a wheelchair now, but with all the little things he may forget on a day-to-day basis, he never forgets about his Jaguar. In fact, just a couple weeks ago he was having a rough day. My mother went to check on him because he had been in his room all day. 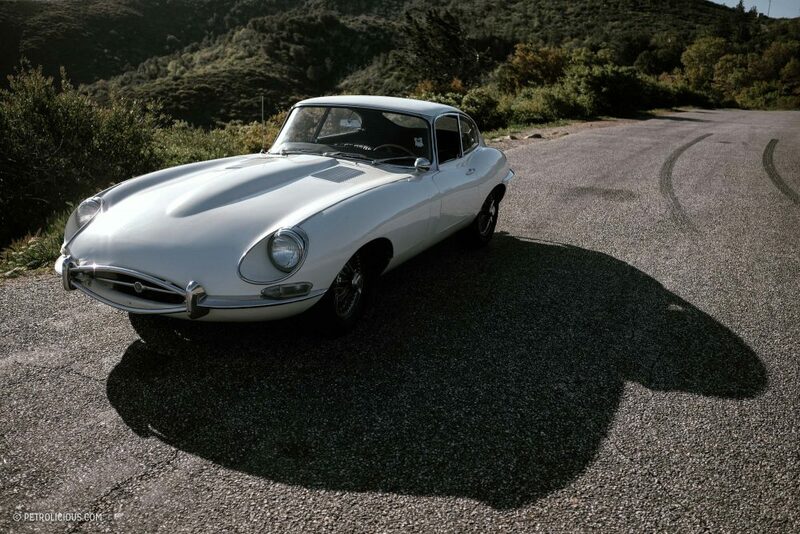 Turns out, he wheeled himself into the garage and my mom found him next to the E-Type, just admiring it—still totally in love with the car after 50 years. So, yeah, it’s not going anywhere. 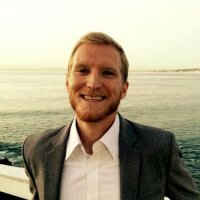 Geoff – great stories & perseverance! 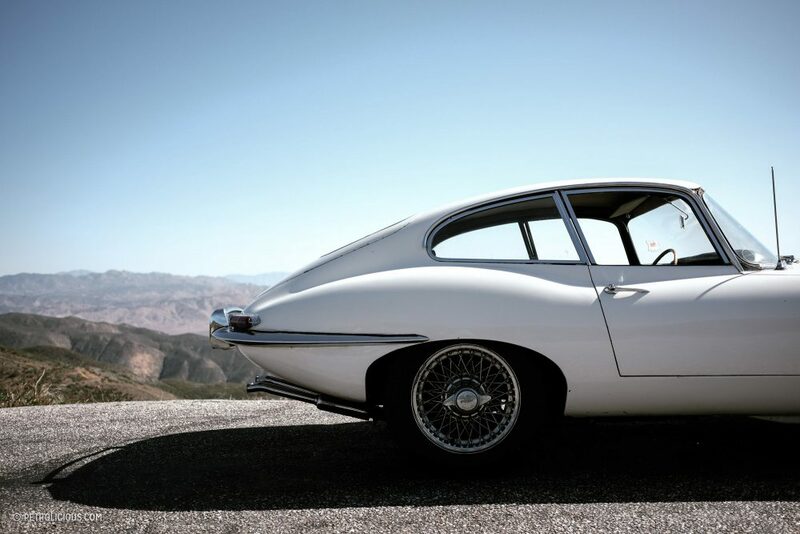 So much so that I’d like to send you a free E-Type bottle opener. If interested, email me a Ship To address at doug@racetrackstyle.com Stainless steel. See pic. Good Lord what a gorgeous piece. 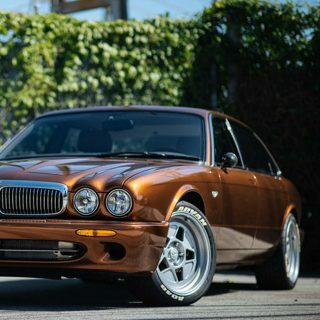 Remember when all Jaguars just had that look of something special. Yesterday I saw a new Jag sedan and mistook it for the latest luxury Hyundai. Jesus wept. Any given day, this is my #1 or #2 favorite car in the world depending on the breeze. 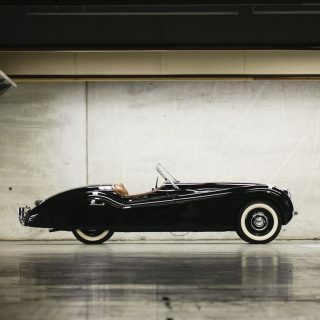 While I’ve always been partial to the roadster, I’ve definitely come to appreciate the beautiful lines of the 2+2. 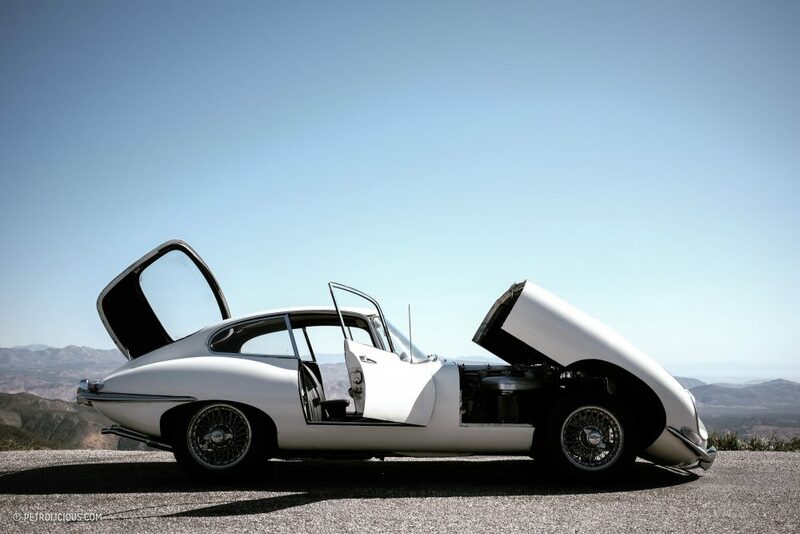 It’s just one of the most beautiful built cars in the world. Great family story – I think we need a video of this one. This is actually a coupe (just a 2 seater). The 2+2 had a more bubbly roofline. Nice interview . Nice car . Nice photos . Nary a complaint to be found . GS, you’ve not mentioned Lucas. My kids constantly go into my shop barefooted. Ha. Very touching about your grandfather out by the car in his chair. These are the things that keep us going.